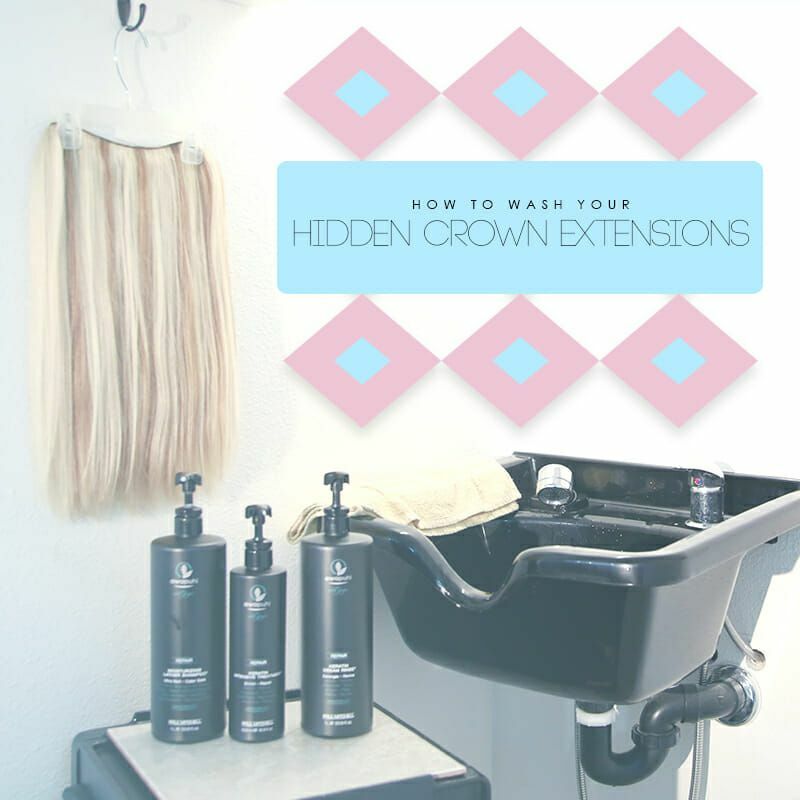 Hidden Crown Hair Extensions are made of real human hair, so they need to be washed like real hair every once in a while. Keep reading for a few tips from our color expert. 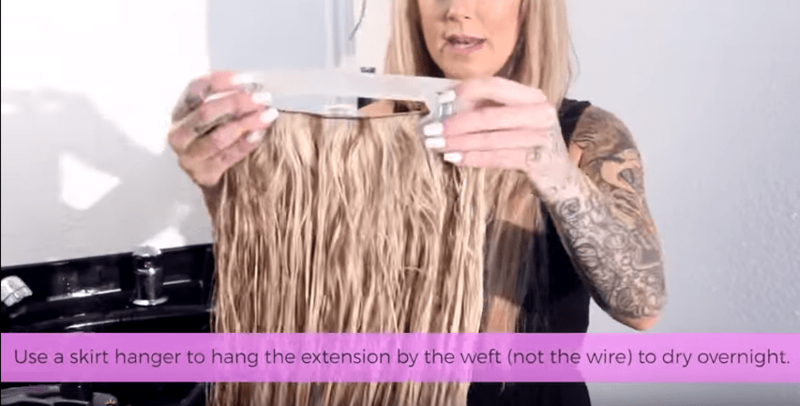 Hidden Crown Hair Extensions are made of real human hair, so they need to be washed like real hair every once in a while. In this video, we use Paul Mitchell products; find more information on these products in our Product Spotlight blog. Submerge your Hidden Crown under lukewarm water until it is sopping wet. 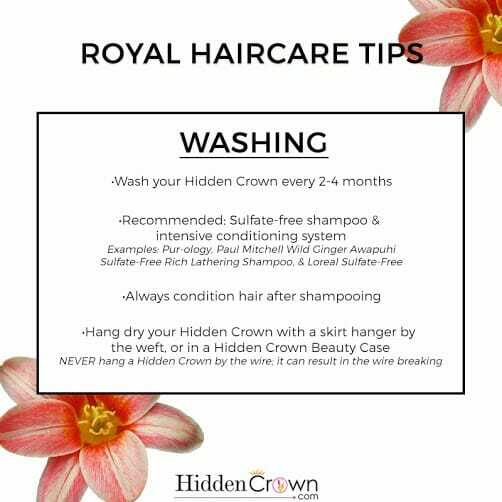 Take about one pump of your sulfate-free shampoo and gently work it into your Hidden Crown Hair Extension. Focus on cleaning the weft (a lot of sweat accumulates in this area). Key tip to remember: be gentle. Apply your deep conditioning treatment from the midshaft to the ends and let it sit for about five minutes. Brush your Hidden Crown with a wet brush starting from the ends. Completely rinse out the intensive treatment. Once you are done, squeeze out as much excess water as you can. Use your cream rinse and apply it onto your crown from the midshaft to the ends. Rinse it off right after. 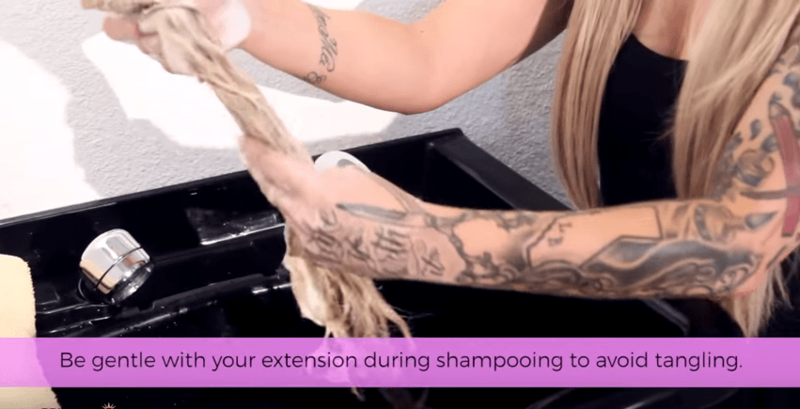 Towel dry your extension and brush with a wet brush like you did earlier. Hang dry your Hidden Crown with a skirt hanger and let it dry overnight. Do not blow dry! Or if you’d rather watch a video, watch our YouTube video below.